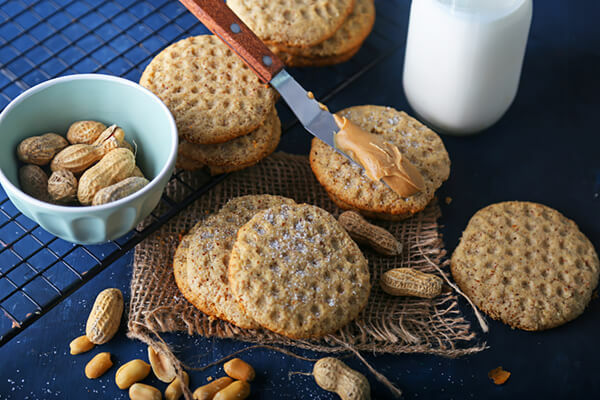 Classic peanut butter cookies. Crumbly in their own texture with a bit of chewiness to it. These came out almost as good as the real thing, only problem was – they’re a tad crunchier. If you notice in the recipe, I only have 15 balls but in the macros I have that it makes 18 total. That’s because I ate some of the batter since it couldn’t fit onto the baking sheet. Using a meat hammer on cookies seems pretty weird, but for the pattern on the cookies I used the spiked side of the hammer. 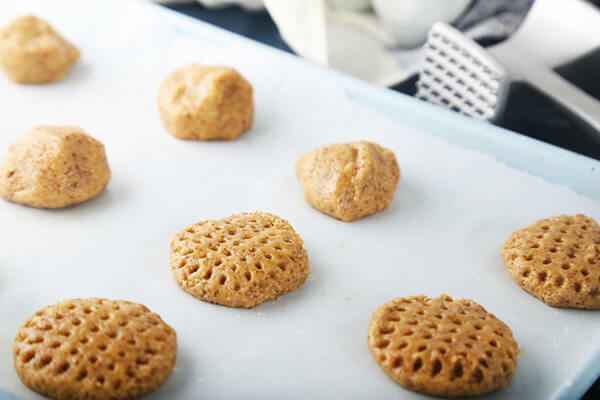 It works well for peanut butter cookies giving a more “classic” peanut butter cookie look. You can always use a fork, but it is much harder to impart a pattern. 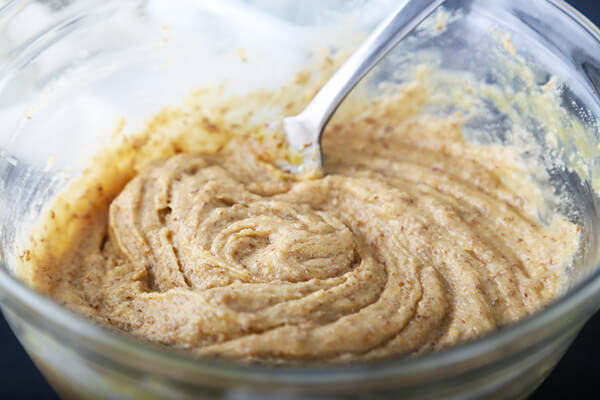 If you make your own peanut butter you will reduce the carbs big time in this. Or, use almond butter! That decadence doesn’t fall into my budget until I start making my own, though. I think you’ll enjoy these! Warning: They won’t seem like they’re done when they come out the oven, just keep your judgement true and let them cool completely. I put them in the fridge, still on the baking sheet, and allow the fats in them to harden. 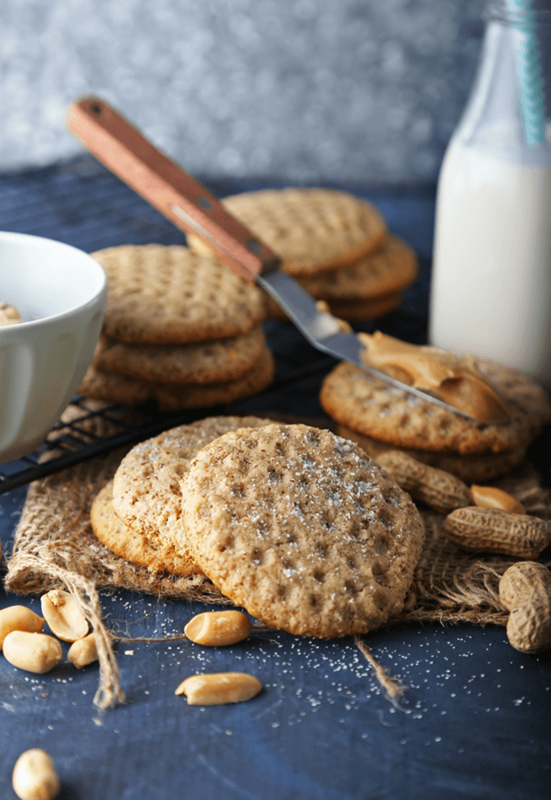 This gives them the crumbly texture you’re looking for from peanut butter cookies. 2. 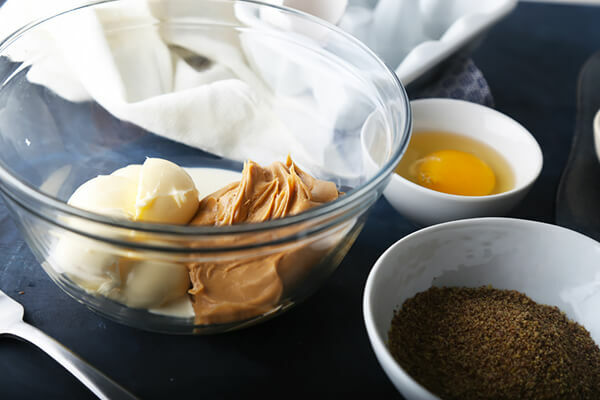 In a mixing bowl, add your softened butter and peanut butter. 3. Add your heavy cream and mix thoroughly. 4. 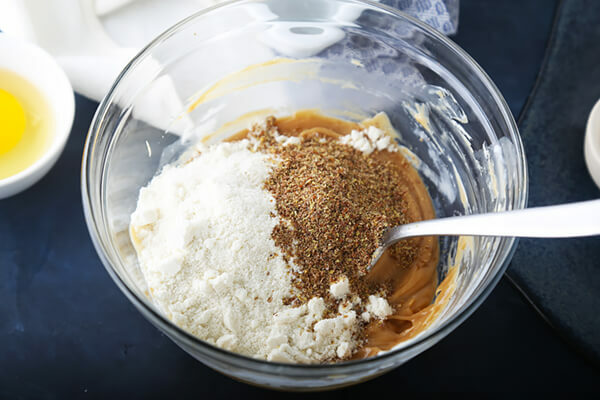 Add your flax seed and coconut flour. You can add additional spices here if you’d like to have a different flavor. 5. Mix the batter well until it becomes a bit thick and dough-like. 6. Add your baking soda, baking powder, and erythritol and stir in very well. 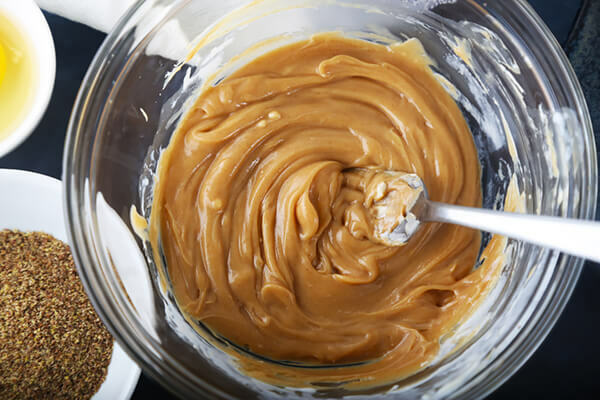 As you stir vigorously, the residual heat from the friction will start to warm the peanut butter. 7. Add your egg to the mixture. 8. Continue mixing very well until you get a creamy, but still a pliable mixture. 9. Roll your cookie dough into balls and place them on a cookie sheet. Make sure they are spread apart at least 1 inch on each side. 10. Press each cookie down with your finger and then lightly trace a pattern on the top (if you’d like). I used a meat hammer to impart the pattern in mine. 11. Bake them for 15 minutes. You want semi-crisp edges here. When you take them out of the oven they will feel extremely soft to the touch, but you need to let them completely cool. Once they come back to room temperature, they will start to harden up a little bit so they can be moved around easily. 12. As they are cooling, sprinkle the top with Erythritol. 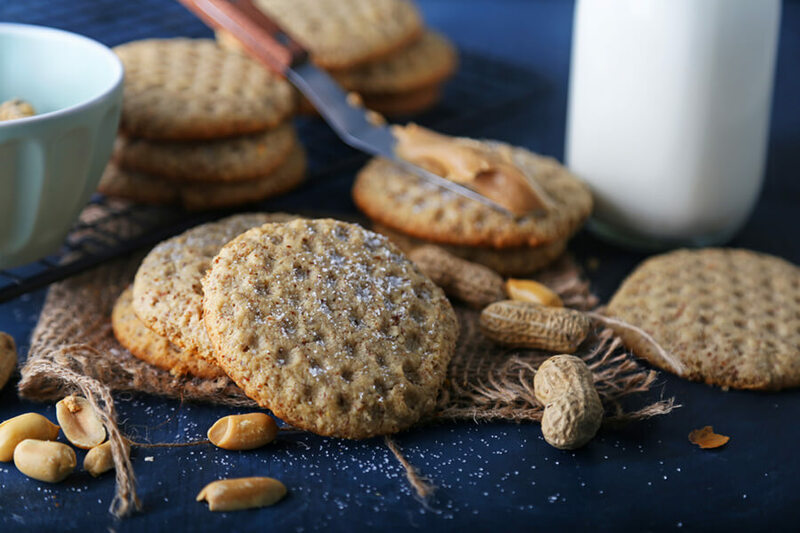 Total for each cookie comes out to: 90.44 Calories, 8.18g Fats, 1.74g Net Carbs, and 2.54g Protein. 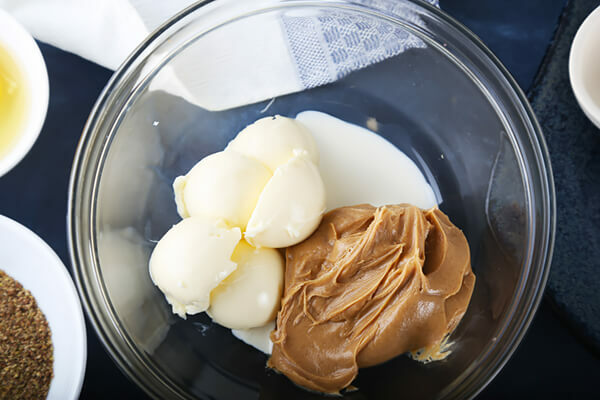 Mix your softened butter, peanut butter, and heavy cream together. 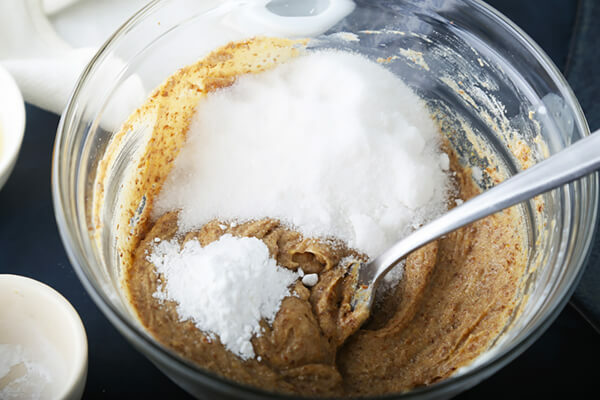 Add your coconut flour, flax seed meal, baking powder/soda, and erythritol in the mixture and mix well. 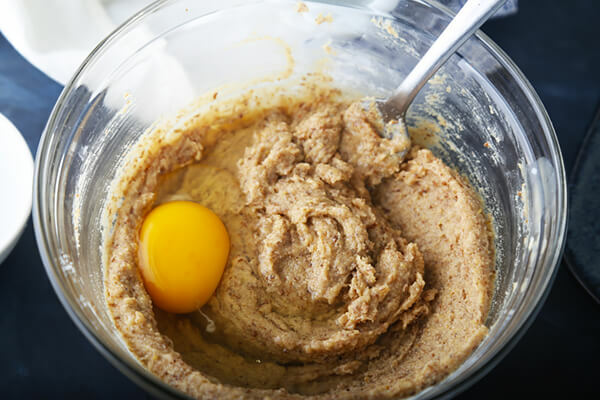 Add your egg and mix well until batter is thick and creamy, but pliable. Make balls with the dough and lay them on a silicon baking sheet. Press the balls down with your fingers and add a design on the top if you'd like. Bake for 15 minutes until they are only a little crisp on the outside. You want the inside to stay soft. Sprinkle with Erythritol as they come out the oven. They will take some time to cool, you can speed up the process by putting them in the refrigerator. Keto Valentines: Red Velvet Doughnuts!